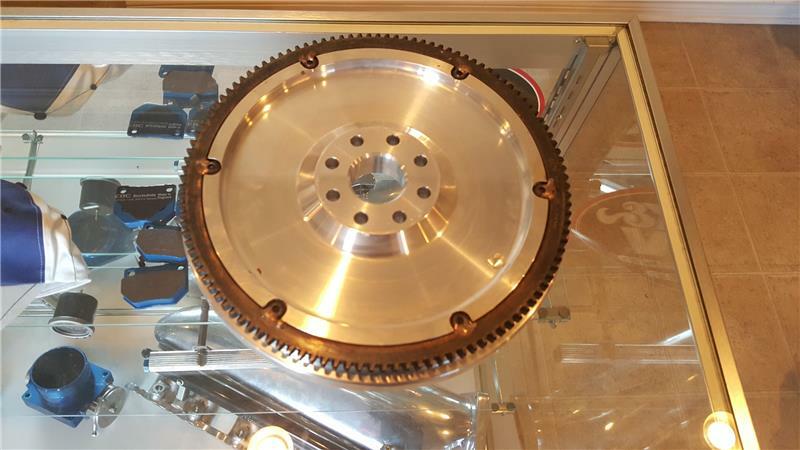 RPS’ Cyn-R-G billet flywheel is, quite simply, the best flywheel on the market. 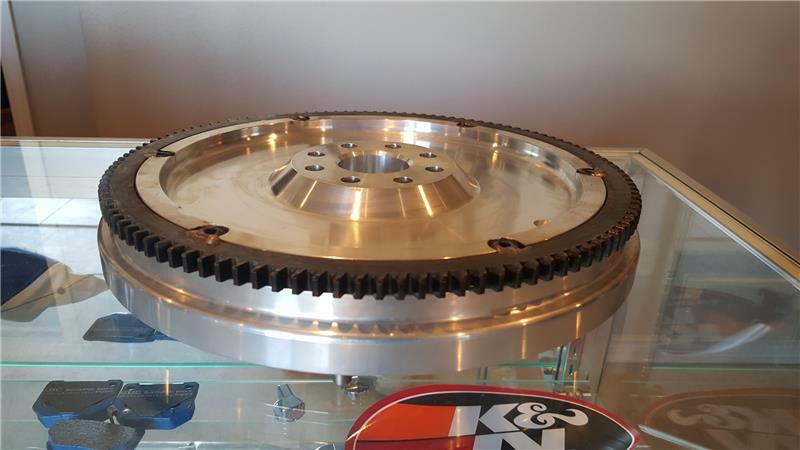 These flywheels utilize RPS’ patent pending “segmented” heat shield system. Traditional heat shields warp because of the uneven heat produced by a slipping clutch. Just like a car going around in a circle (the outside tires go faster than the inside tires), the clutch disc slides faster around the outside of the flywheel than it does around the inside. The faster moving outside gets hotter than the inside. Because metal expands more the hotter it gets, the outside of the heat shield expands more than the inside. Traditional heat shields are made of one piece metal rings, so when the outside expands more than the inside, the only thing the shield can do is warp. The RPS Segmented heat shields are not connected so they can expand and contract without warping. A warped heat shield causes the clutch to slip, which causes more heat and more warpage. 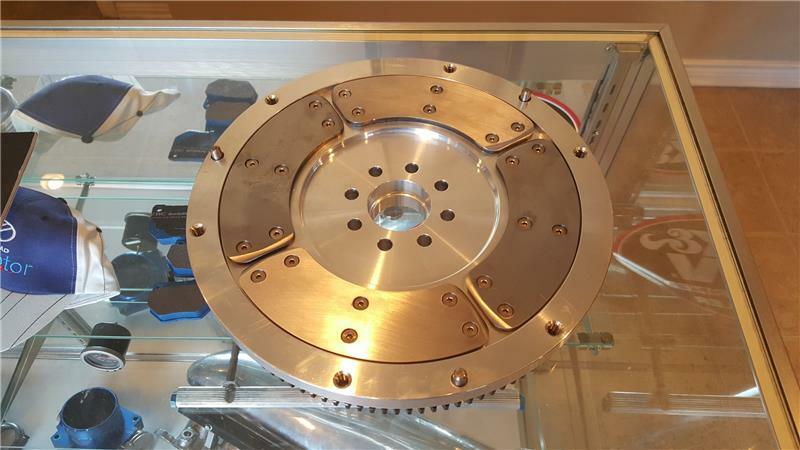 RPS Cyn-R-G Flywheels are dynamically balanced after CNC machining. Other flywheel manufactures assume that since they CNC their flywheels it comes off the machine fully balanced. This would be true assuming the density of the aluminum is constant throughout the part. Unfortunately even the best billet material is not evenly dense throughout and the starter ring gears are never perfect. RPS Cyn-R-G Flywheels are also fully rebuildable for the life of the car! Why should you spend the money on a lightened flywheel? There are numerous reasons that justify the expense. Your Supra will see an increased level of performance from more usable horsepower and torque throughout the RPM range. Why? Basic physics! 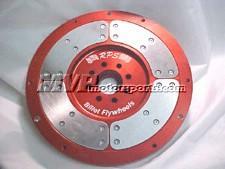 Your 36 pound Toyota OEM flywheel is about 21 pounds heavier than a lightweight flywheel such as this RPS. The more rotating mass (the term for any object on your car that moves likes wheels, crank pulley, or flywheel) your car has the more power that is used by the motor to turn this mass. So if you lighten this weight your engine is more efficient and is able to get more of the power it is making to your wheels. Some Supra owners are concerned with the chatter noise often produced by a lightened flywheel. First, this noise exist mainly during idle. At highway speed there is not any detectable amount of additional noise coming from a Cyn-R-G flywheel. Second, the RPS Cyn-R-G is made slightly heavier than the Fidanza flywheel on purpose. The additional weight found in the Cyn-R-G is to help further decrease the chatter at idle associated with a lightweight flywheel. Third, if you simply raise your idle to around 1,000 RPM’s (its a free modification and easy to do!) the chatter of the Cyn-R-G is virtually undetectable. It is a good idea to raise your idle anyhow on the Supra, especially a single turbo. This is to increase the oil flow going through your big single turbo. It does no damage in any way to your Supra. Finally, consider the performance benefit of saving 21 pounds of rotating mass. A small amount of noise at idle is a small price to pay for all the gains to be recognized by installing a Cyn-R-G flywheel. You will also see a quicker revving motor due to the lighter rotating mass. On a turbo car like the Supra this also equates to a quicker spooling turbo or turbos, and we all know how much we want less turbo lag! A lighter flywheel also reduces the stress on your drivetrain, thus extending its service life & saving you money.